Connecticut lost treasure sites are numerous. Anyone who has the right tools can locate one. But first, before you head out searching for treasure, you need to do some research. I know many individuals who have been searching for treasures for years, but unfortunately have never located one. It’s not bad luck that they could not find one, it’s just bad planning. The more information you have about a buried treasure, the more good luck you will have. Try and gather as much information as you can about the treasure you are searching for. You need to be like a detective investigating a criminal case. Ask questions, take notes, research your research...and don't quit! You should have a reliable metal detector when searching for lost treasure. 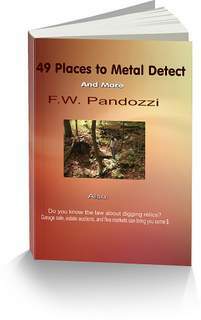 If you do not own a metal detector but are thinking of purchasing one, don’t spend a lot of money. You can buy a reliable detector for $300-$400. You don’t need all of the bells and whistles that come with the more expensive models. If you buy an inexpensive model, and you learn how to use it, you will be rewarded with many great finds. Once you learn the hobby, and you become more experienced with a metal detector, then I would suggest moving up to a more expensive model. Good luck in your search for Connecticut lost treasure. Brooklyn -located in Windham County has tales of buried treasure cached there by Blackbeard the pirate. Fairfield - located in Fairfield County east of the present town of Fairfield. In 1637, a famous battle took place here. The colonists were defeated by the Pequot Indians in that year. By 1779, the town had been rebuilt and prospered until a British regiment destroyed it. Many of the homes were destroyed, and rumors of buried caches have circulated about the area. The Fairfield inhabitants heard of an impending attack, so they buried their valuables hoping to return. Unfortunately, many were killed. Milford - located at New Haven, on Charles Island, it is reported that the pirate Captain Kidd buried a treasure here. 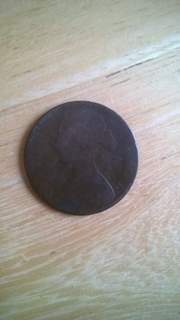 Reports of old coins have been found on the beach there. Norwalk - a seaport located in Fairfield County at the mouth of the Norwalk River.Many stories of buried treasures have been talked about in this area. Pilot Island - located in Fairfield County has tales of a treasure buried by the pirate Captain Kidd. Understand the law before searching in Connecticut. Connecticut lost treasures may be located in ghost towns.